Today tulips are making an appearance from Tranquil Tulips. It is in the Hostess group of stamps. This stamp set allows you to make it whatever occasion you need and use your favorite colors. Today’s colors are Rich Razzleberry, Sweet Sugarplum, and Berry Burst. All within the same color family. Watch on Thursday for another card with the same flowers and twist. 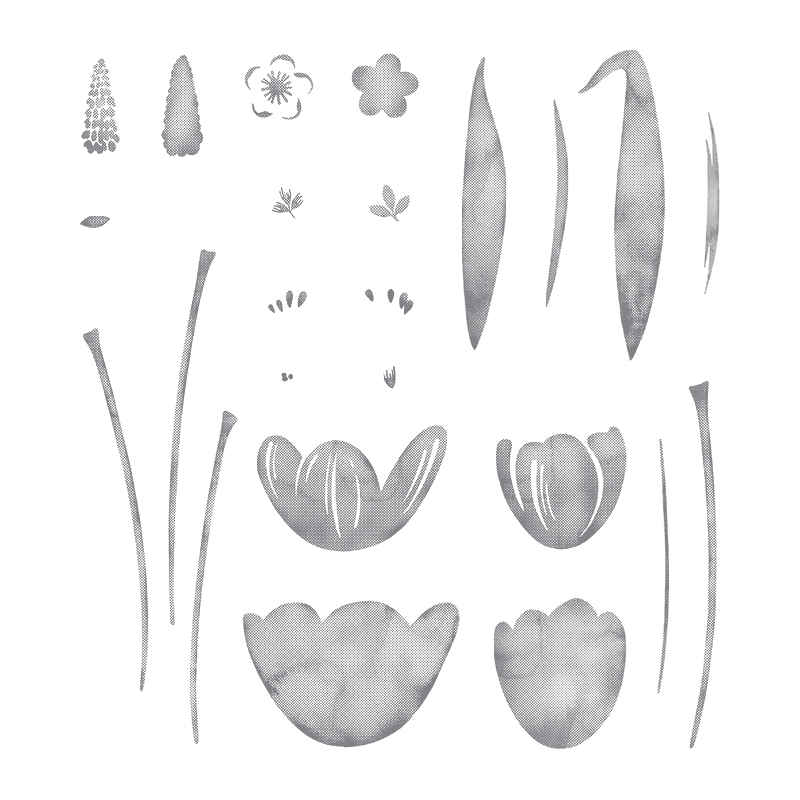 Stamp Set: Think flowers and then color. Please take a minute to mark your calendar for our next hop on August 9, 2017, when our projects will feature “cuts” from punches, dies, framelits, edgelits, or thinlits. Now hop along using the Blog Hop Line-up below. Thank you so much for hopping with the Stampin’ Pretty Pals today. See you on August 9th! Don’t forget to sign up for the newsletter and learn about great specials. Pam, such a beautiful trio of colors for this card. I think berry burst is one of my favorite new in colors. The tulips turned out so pretty ?. Thanks for sharing. Such a pretty bouquet using the fresh Floral DSP! Pam this very pretty. The DSP is such a pretty backdrop to your tulips. I’m glad you got your link working. Beautiful tulips! enjoyment, for tthe reason that this this web site conations really good funny stuff too.